I was approached by Sherborne Museum to develop a fully integrated photo processing, cataloguing and interactive display system. A database system to enable the digitisation and management of the photo collection. A simple to use public interface to allow browsing and searching of the collection via a touch interface. The system comprises a very capable yet simple to use management application for use by the museum staff and a touch enabled application for use by visitors to the museum. Import of photos directly from a flat-bed scanner. Import of photos from hard drive, CD or USB drive. Cataloguing of all photos in departments and categories. Maintenance of all attributes relating to images. Public description - the description shown to museum visitors. Private description - the description used by museum staff to identity and describe images. Attribution (e.g. artist or photographer). Media type (e.g. slide, print, negative). Time period (either exact date, decade or century). Photos can be printed, exported to Adobe Photoshop or published directly to the public system. The main screen in the management application. 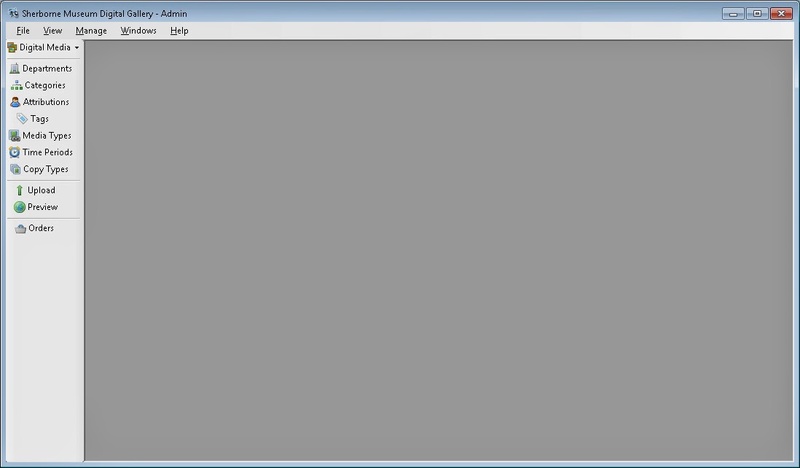 One of the photo management screens showing options for importing images from disk, scanning batches of images or scanning a single image. An example image details screen showing the various attributes and functions. As well as providing better management of the museum's photographic collection the main goal was to provide a means for museum visitors to browse the majority of the collection, view details on every image and order prints. After consulting on the various options it was decided that the best approach would be to provided a dedicated touch based system for browsing the entire collection. I have developed the system in such way that almost any design could be used for the public system with minimal changes to the way the system works - for the first implementation it was decided that a very simple un-cluttered interface would be the best way forward. An example category section within the public system. All photos automatically tile to fill the screen. An example detail page showing title, reference, description and attribution. Options are provided to zoom, return to the category page or add the photo to the user's basket. 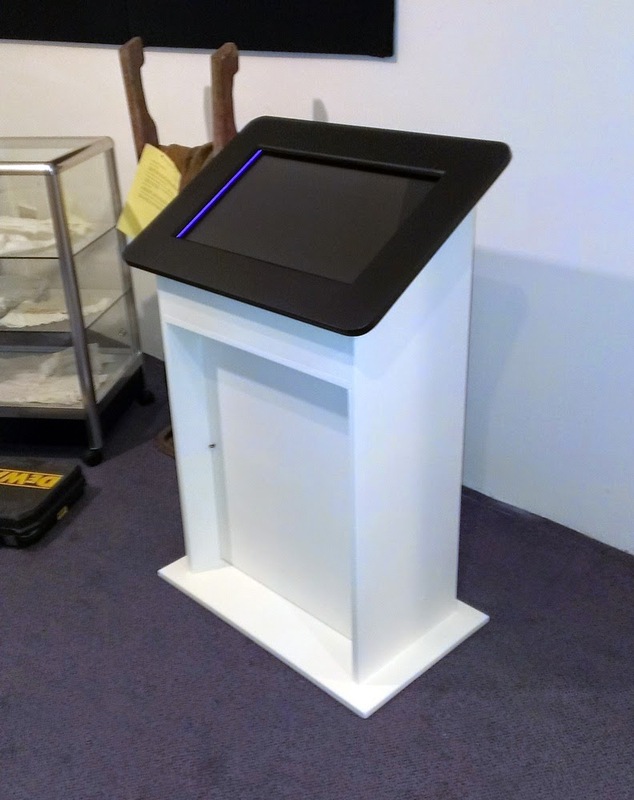 A bespoke lectern was commissioned to house the dedicated 24 inch touch screen. Any size lectern or screen could have been used but a 24 inch screen best suited the museum's requirements.